XSProject | Working to reduce poverty and improve the quality of life of Jakarta's trash picking communities. Working to reduce poverty and improve the quality of life of Jakarta's trash picking communities. Environmental damage is also dominated by the garbage bins that are not able to fully processed by the people of Indonesia. For that we need the awareness of the public in order to prevent an increase in environmental damage. Implementation of the system 4R (Refuse, Reuse, Reduce, and Recycle) into one solution in keeping the environment around us are cheap and easy to do in addition to process waste into compost or utilizing waste into a source of electricity (power plant waste). Besides that, the application of the 4R also can be done by any person in daily activities. 4R consists of Refuse, Reuse, Reduce, and Recycle. Refuse refers to municipal solid waste (household trash). Be proactive by designating specific trashcans for plastics, papers, metals, glass, and landfill Reuse means reusing waste that still can be used for the same function or other functions. Reduce means reducing everything that resulted in the trash. And Recycle means to reprocess (recycling) of waste into products or new products that are useful. With that foundation, PT.BASF cooperate with XSProject to reduce the waste that is difficult to unravel with the 3R method. 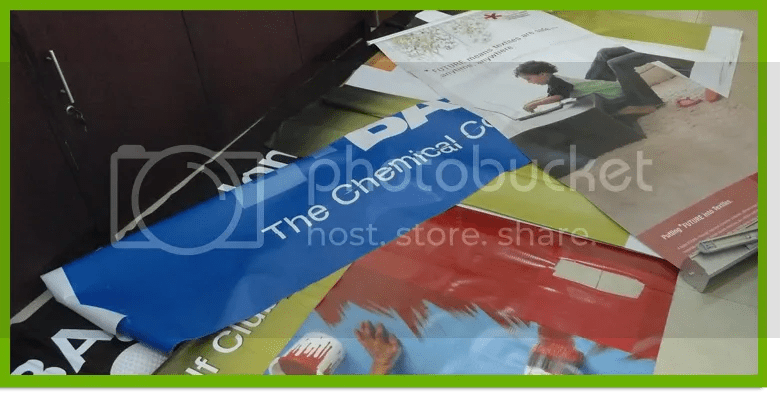 And this is the third time BASF donated materials Marketing, Billboard, PT.BASF that are not used for the manufacture of products made of materials XSProject that have high sales value. 5% of the proceeds from the sale of products XSProject to support the education of children of scavengers through the Scholarship Fund and Health Fund. So not only process waste with the 4R’s, but also can provide benefits to improve the welfare of the scavengers and improve future fate of children of scavengers. Given the opportunity to learn basic business and vocational skills a woman’s newly acquired earning power reshapes her family and community. From this platform of empowerment, women learn to manage their health, build support networks and serve as examples for other women. It is from this principle that XSProject launched our first program to offer business and vocational training to six young women and mothers from Jakarta’s trash picker community. By being able to generate income from their skills, they will no longer need to join their husbands as scavengers and trash pickers. The goal is to create sustainable change for them, their children and their community. The group will be meeting on Thursdays for three months of training. 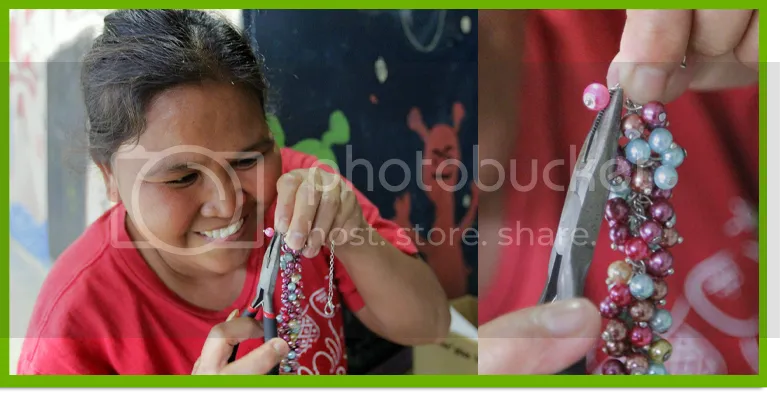 Instructors,Yanti and Asep are teaching them to make jewelry and decorative hair ornaments. They also learn basic business skills such as managing raw materials costs, determining reasonable labor costs, and how to establish the selling price of the products they make. After this training is completed, XSProject will assist these new entrepreneurs by helping them sell their products. XSProject plans to start a second group who will learn different vocational skills but who can collaborate with the first group, invest in business together, and help each other grow and learn. Cicak Dream Chaser as a student leader group would like to have an experience with the outside community, XSProject Community as an example. After all this time they seems not have any experience outside the school, so this program basically is “Creating Connection” with outside community. This is the second time for Cicak Dream Chaser visiting XSProject community. On the first occasion the students and kids XSProject Community through Education, Sports, Art and Culture. In this second visit they also invite the parents of the children to be taught makes Greeting Cards with ornaments from paper. This activity is great fun. Hopefully, the program will sustain, continuos, and mutually beneficial (like any others collaboration between JIS and XS Project). Cicak Dream Chaser will run this program once a month (any available dates, after school hours, and do any recommend activities). The Year 2015 starts with a new spirit and hope, as well as the best plans for staff and community XSProject XSProject. One way to generate a new spirit by office outing. XSProject staff outing this time in Jogjakarta, during the three days we traveled in a city famous for its culture. Hopefully after this outing can give a new spirit in order to actively work as much as possible this year to reach all the expectations and achieved all that was expected. 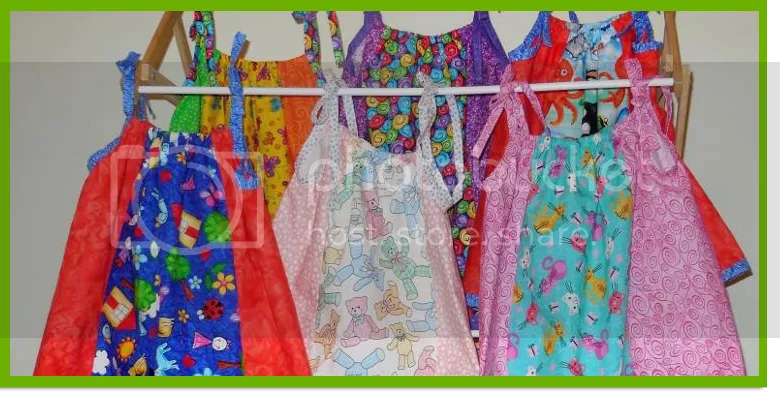 Many thanks to the Robson Ranch Material Girls for making these dresses for the little girls living in Jakarta’s trash picker community. These ladies are truly generous with their time and the dresses are ADORABLE!! As you can see, the girls are so happy and they look so pretty. The Storage is a collection of POP UP store featuring new concept goods, art and design based products, mixed with some art projects and DIY workshops. The participants are Believe, Canvas Living, Cemal Cemil, Dapper&Lola, Gammara Leather, Iseni, Kenes, NUMO, Pasarindang, SIRA, TRE, XSProject, Meneer Madame, Rumah Ratu, and many more. 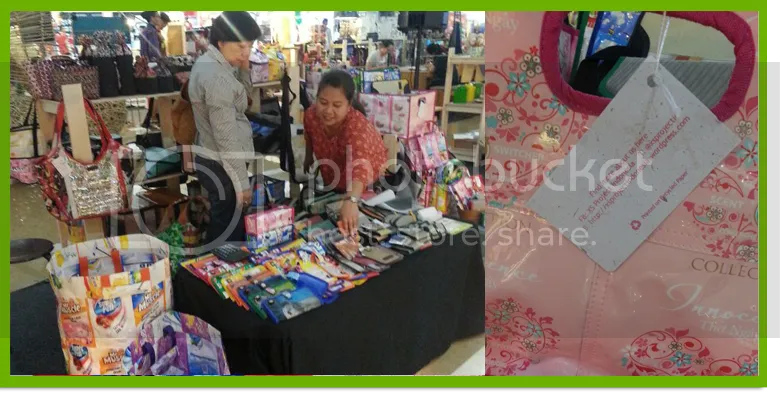 The event was held from 16 – 25 January 2015, in Bintaro Jaya XChange Mall. In addition to the bazaar there are also other activities, such as WOOD CUT & SILK SCREEN workshop with Komunitas Grafis; KuilCukil&Cikal 13, DISCUSSION with Indonesia Clothing Independent Association, PAPER CUTTING workshop with Cutteristic; Paper artist; Dewi Kucu, TOY MAKING from found objects with Lumintu, and LIVE SKETCHING with Indonesia’s Sketchers. The outcome of making donation and better a continuously and consistently donation will be great and appreciated by the community. 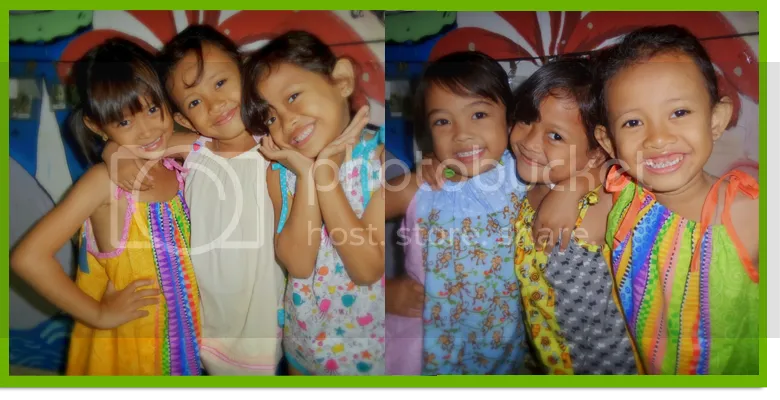 There 56 and more children that XSProject need to provide with school expenses ranging from grade 1 to SMK and also project of Micro financing for the moms, so they can learn new skills to help generate extra income for the family. After talk regarding the poverty issue, students could asked directly to the Ms. Retno about the talks. They are very was enthusiastic ask questions to Ms.Retno. The talked was also to remind the fortunate children to be grateful with they have and to be thankful to their parents for giving them the life that they have now.. That the fortunate children realize that there’s people who live under poverty and also can make some donation for XSProject community or others community further.